This ticket gives you access to Iboga Summer Festival 2019 from the 25th to the 28th of July and the Preparty on the 24th. This ticket gives you access to Iboga Summer Festival 2019, preparty and camping from the 24th to the 29th of July. 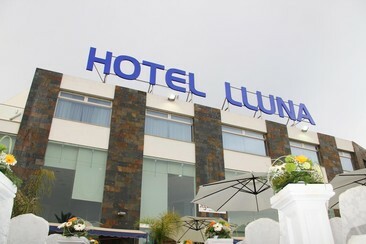 Hotel Lluna is located 500 meters from the city, provides you with total tranquility. This casual hotel is 4 km from both the Museu Municipal d'Alzira and Alzira train station. It is a 10-minute drive from a variety of restaurants, shops, and lively bars. Albufera Nature Reserve, on the Mediterranean coast, is 15 minutes’ drive away. All rooms feature a flat-screen TV, minibar and private bathroom with a spa bath and hairdryer. This ticket includes the pass to the camping parking. It does not include the access to the festival.